Enigma has been specialising in covert surveillance for many years and has undertaken instructions both within mainland UK and internationally. As a result, our experience in dealing with the unexpected and achieving quality results is second to none. Our surveillance teams are hand selected for their proven track record, and individual skills mostly originating from military, government agency and police backgrounds. All are capable of operating within a variety of fields including criminal, commercial, insurance and counterfeiting. Our teams utilize the latest state-of-the-art surveillance equipment to ensure the best possible results and where available, the capture of images relevant to the case. The quality of evidence we secure is designed to meet the demands of both civil and criminal courts, for which Enigma’s services have been paramount in securing numerous legal judgements. We are retained by a significant number of blue-chip companies to provide a range of professional services. Enigma Security (Europe) Limited supply and install a variety of covert security equipment, including Computer Monitoring, Telephone Monitoring, Real-time Vehicle Tracking and Covert CCTV Cameras. Covert equipment is the most cost effective method for resolving issues where it is impractical for an investigator to operate efficiently or activity is difficult to isolate and identify the individuals involved. The equipment is normally installed/deinstalled either out of working hours or during a quiet period of the day when less likely to attract unwanted attention. Enigma Security (Europe) Limited conform to all aspects of the Data Protection Act and current ACPO Regulations. Cost of installation varies depending on the type of equipment required, and duration primed. 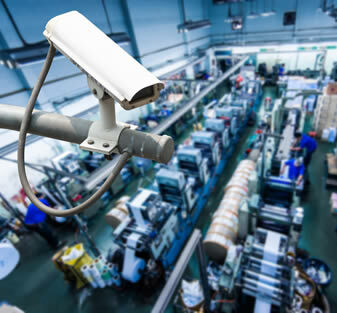 We provide covert CCTV cameras to a number of clients on an ad-hoc or contractual basis. Enigma Security take an holistic and consultative approach to security. 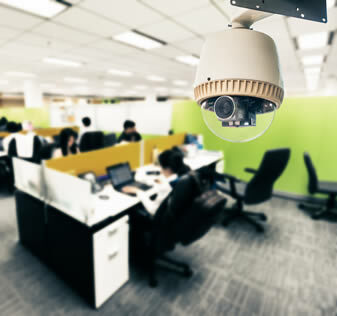 Covert surveillance is just one way in which we can help your business, and may be more effective in conjunction with our other service offerings. Enigma Security (Europe) Limited were called in by a UK insurance company to investigate a potentially fraudulent claim. A legitimate accident occurred at the employee’s work; however, he exaggerated his claim and maintained he was 95% incapacitated. The covert video and surveillance evidence obtained by Enigma Security (Europe) Limited clearly proved this to be a fraudulent claim, saving the insurance company the sum of £950,000. Having used the service of Enigma Security (Europe) Limited on several occasions, I have always found them to be very professional, they listen to our concerns, advise us and act accordingly.